In the French countries, it appears the Lebanese own the large super markets, while in the English countries the Indian people own the large ones. The Africans seems to own the small ones, I am not saying this makes sense, this is just reality. This is Tarik; maybe I spelled his name wrong, it was great to meet this guy, he speaks great English and French and understands the countries of Rwanda and Uganda. He is an expat source, a person who can help you when nobody else can. 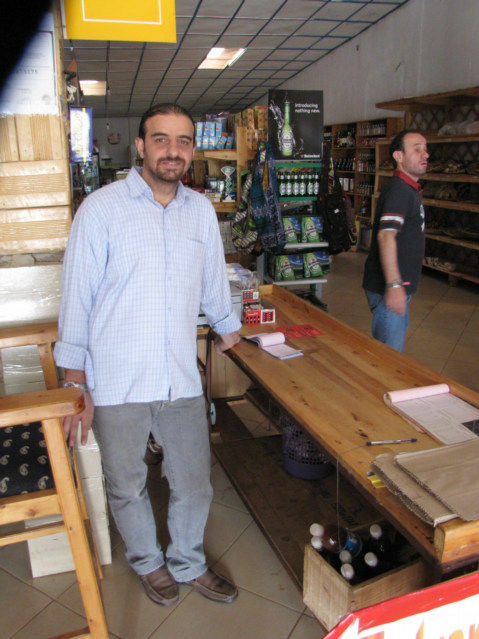 In addition, he has a great small restaurant inside his super market that allows you to eat “food.” He even has pepper and salt on the table and you do not have to fight to get it. 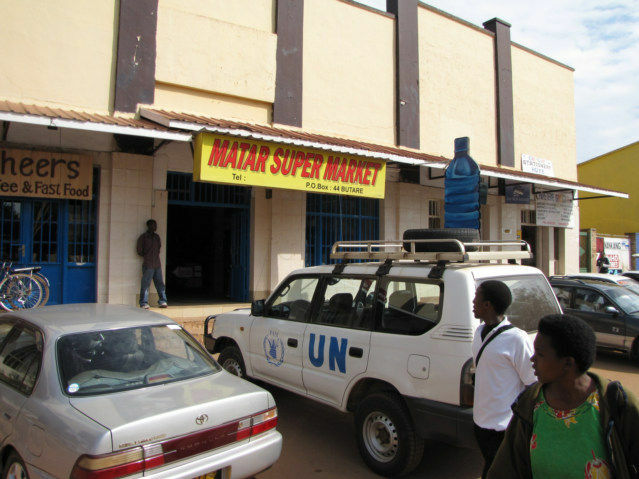 This is the Matar Super Market in Buture, Rwanda close to the border of Burundi. I walked out of the store, tore into the pack of peanuts and started walking back to the New Gratia Motel. I thought to myself, this is quite an outrageous comment I made, where did this come from? There is something truthful about comments made spontaneously and without thinking. I have had time to think about this for a couple of days, I truly gravitate towards wanting to talk with Tarik and Hassan. The reason is simple, my dream is to have people around me with good manners, and these two men have great manners. Hassan taught me the word here for cutting line; they call it to “cross.” I guess the locals cross the line. I say cut line. 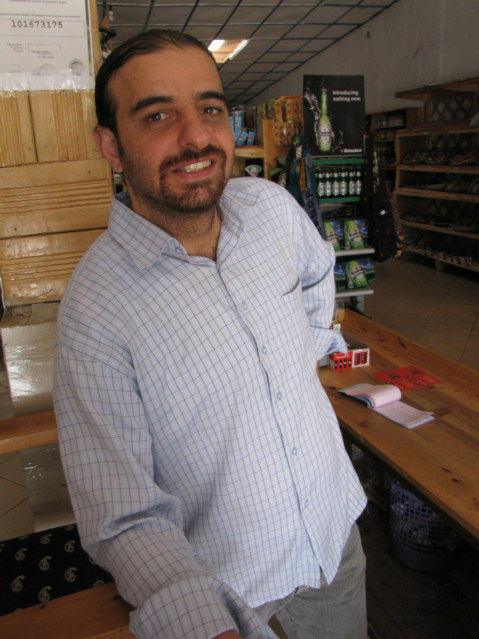 Thank you Tarik and Hassan, an oasis in the middle of Rwanda.